Dadra & Nagar Haveli is a union territory in India. Dadra & Nagar Haveli RTO is established as per the instructions of the motor vehicle act of 1988. Transport commissioner is the head of Dadra and Nagar Haveli RTO and supervises all its activities. Dadra & Nagar Haveli RTO performs lost of activities to ensure transport and traffic wellbeing. The motive of establishing Dadra & Nagar Haveli is better management of transport. RTO in Dadra & Nagar Haveli is also responsible for the enactment of the motor vehicle act. Besides that, it also assists in maintaining traffic rules and regulations. Collection of road tax for all types of vehicles as per latest slab & criteria. 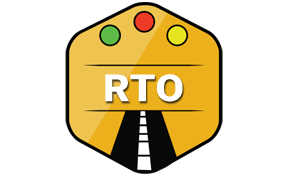 Responsible for automating RTO operations. Authorized to use all the Dadra & Nagar Haveli RTO funds for transport and traffic wellbeing. Online management of Dadra & Nagar Haveli RTO data. Keeping track of all the vehicles in Dadra & Nagar Haveli by maintaining a separate database for all modes of transport. Issuing all kinds of driving license to the drivers. Regional Transport Officer (RTO), Silvassa, Valsad, Dadra and Nagar Haveli - 396230.